Today we say happy anniversary to Disney's Animal Kingdom, which opened on April 22, 1998. Disney is an environmentally consious company and it is no coincidence that April 22nd is also Earth Day. Walt Disney himself was very interested in animal conservation and Animal Kingdom is themed around this philosophy. Although there are incredible animal exhibits located throughout the seven themed areas, this park is also home to several amazing thrill rides. Basically, Disney combined the education of a world class zoo with the entertainment and excitement of a theme park. Animal Kingdom covers over 500 acres and is the single largest Disney theme park in the world. It is nearly five times the size of the Magic Kingdom. Even though Animal Kingdom is so huge, many guests consider it a "half day" park due to its relatively small number of attractions. Nothing could be farther from the truth. I would argue that to fully enjoy what this unique place has to offer, you should explore it for at least two days. While it is true that you could ride the big attractions in four or five hours, there is so much more to see. The wonder of this park comes from taking in the natural surroundings and interesting stories that are so prevalent throughout each area. Don't get me wrong, Everest and Dinosaur are two fantastic thrill rides, but they are only a small part of what makes Animal Kingdom one of the most popular theme parks in the world. When the Disney company started designing Animal Kingdom, they wanted to be very different from a traditional zoo. As a matter of fact, shortly after opening the park they advertised it using the fictional word "nahtazu" which is pronounced "not a zoo." They wanted guests to realize that Animal Kingdom was not anything like typical zoos that are found throughout the country. One of the unique ways that the Disney Imagineers accomplished this feat was through their creation of incredible natural habitats for the animals. There are areas where you would swear that you are dangerously close to large, meat eating beasts, but through the magic of Disney (and a little modern technology), you are completely safe from the apparent danger. To the best of my knowledge, there still have been no guests eaten by a lion, gorilla or hippo! In addition to the animal attractions and thrill rides, Animal Kingdom is currently host to two broadway quality shows. Festival of the Lion King takes place in a unique theater where guests are seated in four sections that surround the "arena" style stage. It is a high energy show featuring singing, dancing and acrobatics and it is certainly not to be missed. 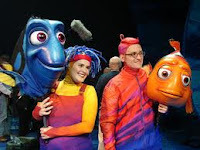 The other Animal Kingdom production that is a must see is "Finding Nemo - The Musical." This emotional rendition of the blockbuster Pixar film is performed with live actors singing the parts of each character while manipulating giant puppets. When I first heard that they were going to turn Nemo into a musical, I was quite skeptical. 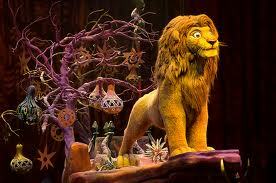 However, in my opinion, this is one of the best shows that Walt Disney World has ever produced. It is hard to believe that Animal Kingdom has been open for 13 years. It seems like yesterday that I was looking at the construction site from the top of the gigantic water slide over at Blizzard Beach. Although most of the parks' original attractions still exist, it has come a long way in a little over a decade. With the addition of several new shows, great new restaurants and one of the best roller coasters in the world, Animal Kingdom continues to get better and better. The next time you find yourself rushing through this park to hit all the big rides, slow down and take in the details and hidden treasures that are all around you. I promise you won't be sorry!